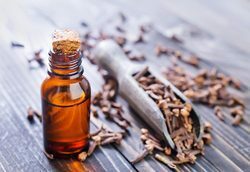 We have gained specialization in offering Cinnamon Bark Oil (Cinnamomum zeylanicum) – which is adequately steam distilled from Cinnamon Bark. Cinnamon is grown in India and Sri Lanka. Our products are developed with the help of effective technology and the oil is pale yellow to yellow in color and has a strong, spicy and sweet odor. Our products can be availed at simple rates and are effectively used in perfumery compounds, flavors, pharmaceuticals, aromatherapy and pesticide manufacturing. It is procured from the plant name Elettaria cardomomum which is also known as Elettaria cardomomum var. cardomomum which belongs to Zingiberaceae family and is widely renowned as cardamomi, mysore cardamom and cardomum. This herb is quite helpful in digestive system. bergamot, Rose, orange, caraway, cinnamon, cedarwood and cloves. sabinene, a-pinene, b-pinene, limonene, myrcene, a-phellandrene, p-cymene, 1,8-cineole, terpinolene, linalool, y-terpinene, terpinen-4-oil, a-terpineol, linalyl acetate, citronellol, nerol, , geraniol, a-terpineol acetate methyl eugenol and trans-nerolidol. It is quite helpful in digestive system and also works as soothes colic, laxative, wind, nausea and dyspepsia. 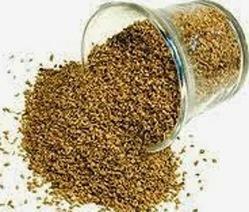 It provides warm sensation to the stomach and also helps in heartburn. It also helps in increasing sexual activity and relaxing of mind from stress with pleasing comfort. This oil is procured from steam distillation of Caum Ajowan which is an annual herb. It is prepared by several process of drying, processing and packaging. This oil is widely demanded throughout the world for its wide application in medical field. It is widely used as an ingredient in various herbal medicines. It is widely used in medical field as antibacterial, anti-parasitic, anti-infectious, antiviral, antiseptic and anti-fungal properties. 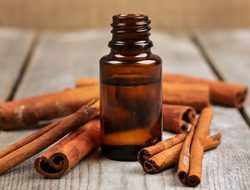 Apart from this it is also used as a remedy for toothaches, cough, bronchitis, skin disease, gas, cholera, digestive weakness and diarrhea. We are offering supreme quality Fennel oil that is consistently being used for soothing, cleansing and toning effects on the skin, whereas it also improves circulation and fighting water retention and puffiness. 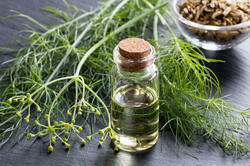 These are developed from the most advanced techniques and the effective therapeutic properties of fennel essential oil in skincare include that of being antiseptic, diuretic, stimulant and tonic. These are available at affordable rates. Our adequate ranges of Spice Oils are developed from Steam distillation process and Oleo resins are developed from Solvent Extractions. Spice oleo resins are developed with the help of exquisite technology and are always used for flavoring of food. This process is usually followed by top notch industries such as meat canning, sauces, soft drinks, and soap, tobacco, confectionery and bakery etc. We are adept at offering completely reasonable rates.